Premium cotton cake typography canvas bag which is printed on both sides. 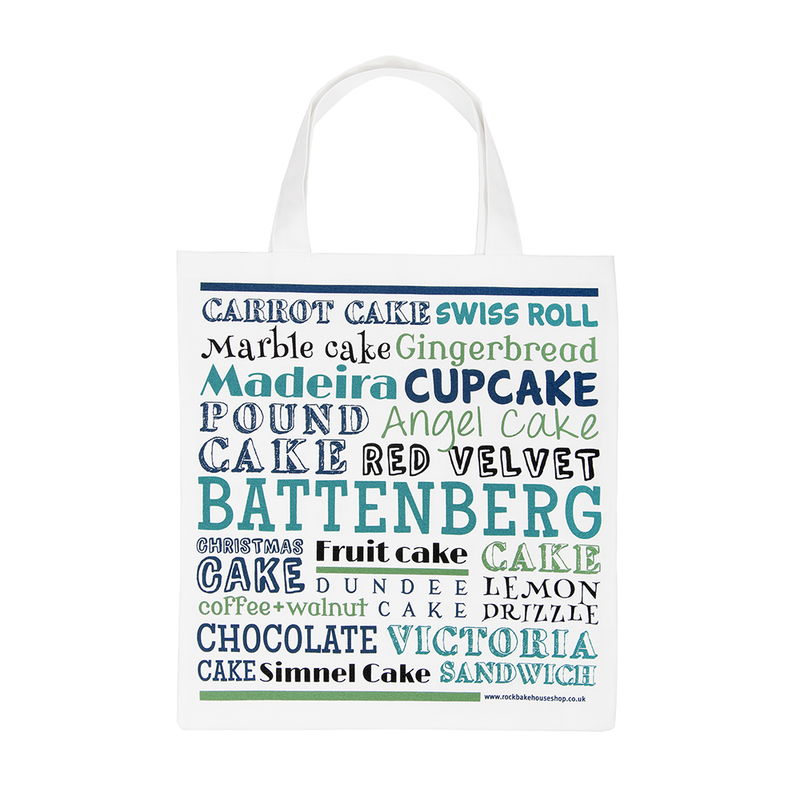 It features all your favourite British cakes including Victoria Sponge, Carrot Cake, Lemon Drizzle and many others. The short handles make it ideal for either carrying on your shoulder or in your hand.It is perfect for carrying your heavy shopping, gym kit and folds away neatly when you are not using it. 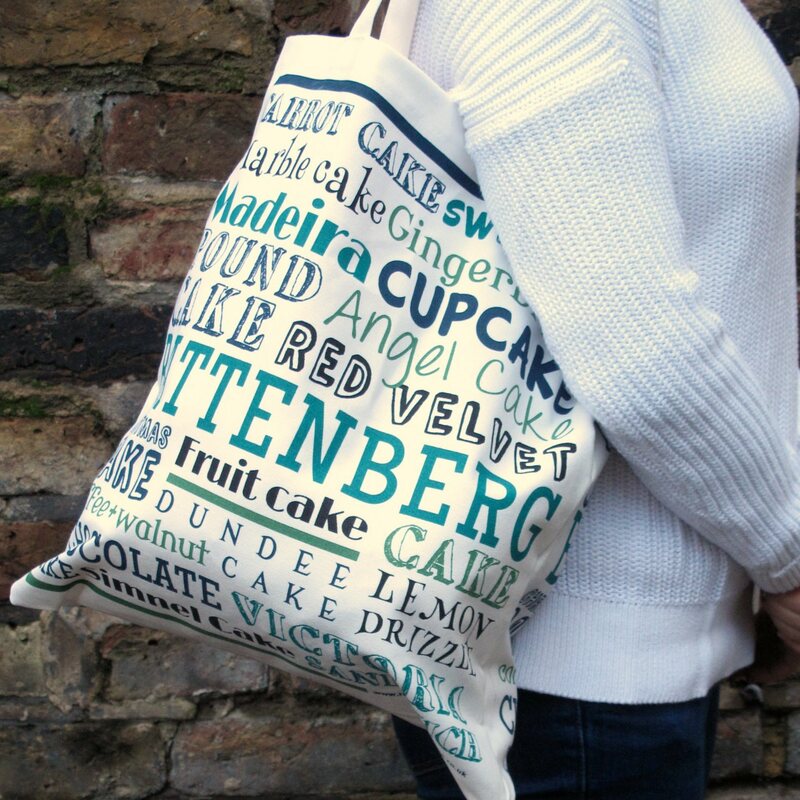 These bags are handmade in the UK from 100% premium cotton. This product is dispatched by Rock Bakehouse. This item has a shipping weight of 150g.